Behaviors of ADHD kids in the classroom can vary from one child to another. In many classrooms, kids are expected to sit quietly for extended periods of time as they listen to the teacher and do their work. For many students, this isn't a difficult task, but for students diagnosed with Attention Deficit Hyperactivity Disorder (ADHD), sitting quietly in a classroom can be an almost impossible feat. Once a child with ADHD has reached his limit, he may begin disrupting the class in a myriad of ways. 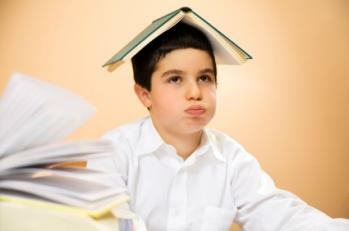 Generally, ADHD is classified in two ways: hyperactivity and inattention. Behaviors of ADHD kids in the classroom are often directly associated with these classifications. Hyperactivity-Hyperactive children find it very difficult to refrain from talking, moving, and disturbing others around them. These children often blurt out comments, answers, and questions at inappropriate times. They may have difficulty sitting in chairs, and instead get up to wander about the room, looking for something that might be more interesting. Others may sit in a chair, but they are certainly not still. They fidget, bounce, move back and forth, tap their feet, pencils and other objects, etc. Again, not only is this distracting for others in the classroom, but this behavior can actually increase the child's own frustration because he knows his behavior is unacceptable, but he may not be able to stop what he is doing without help. Inattention-The child who has a short attention span doesn't usually create as much of a distraction in the classroom. However, the results of this inattention can still have a negative impact on his own academic performance. His grades may be consistently lower than his actual capability to perform simply because he just isn't able to pay attention to his teachers or any instruction. His inability to focus may cause him to miss out on important instructions, homework or class work assignments, and more. He may actually hear what is said but he may soon forget what he heard shortly after. For teachers who are trying to manage a roomful of students, an ADHD child can be a huge challenge. In some cases, teachers aren't given adequate training on the behaviors of ADHD kids in the classroom. They simply try to maintain some semblance of a calm classroom, but often their time is mismanaged as they attempt to control the behavior of the ADHD child, losing valuable teaching opportunities in the process. What can teachers do in this situation? Establish a relationship-Make a special effort to establish a relationship with the child by spending some time talking to her at the first of the school year. If specific problems occur throughout the year, talk to her away from the other students. Create varied lesson plans-Obviously, this student will not perform well in a class that consists of lecture only. Try to incorporate other types of learning activities, and whenever possible use technology in the classroom. Many students with ADHD respond well to computer-oriented activities. Get organized-Help the student keep a journal or notebook so that she can write down assignments, instructions, dates, etc. Modify lessons-Kids with ADHD may need to have modified lessons and tests. For example, in a multiple choice test, give the student three answers to choose from instead of five. Maintain contact-Make sure the student sits in a desk that is close to yours. Stay in close proximity to him as much as possible. Hand out responsibilities-Give the student small errands or responsibilities, such as delivering messages to the office, watering plants, etc. Be sure and tell her what a good job she is doing when appropriate. Provide breaks-If the lesson you are teaching requires students to sit quietly, give the class short breaks, allowing them to move around the classroom or at least stand up and stretch. Finally, it is imperative that teachers, special education coordinators, administration, and, of course, parents all work together in the planning and implementation of an ADHD student's education.